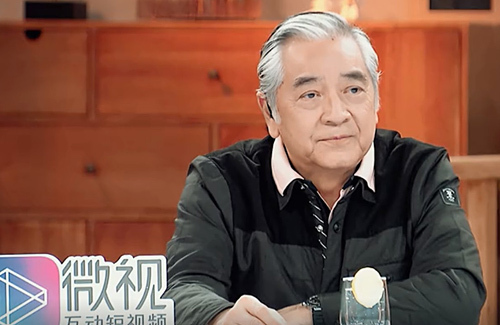 The appearance of veteran Actor Paul Chun (秦沛) in reality show Daughter’s Boyfriend <女兒們的男朋友> attracted much attention for his emotional experience of being a single parent. In the show, his daughter, Lesley Chiang (姜麗文) and her boyfriend, Pakho, took on the challenge of looking after Pakho’s cousin’s son. As Paul watched the challenge unfolded, he reflected on his experience of being a single father. Dating for two years, Lesley and Pakho often flaunt their affection in the reality show. For their challenge, they were tasked to look after 15-month-old Ming Ming. Surrounded by strangers, Ming Ming could not stop crying and prompted Lesley to laugh uncontrollably. As a result, Pakho stepped in to help and prepared milk for Ming Ming. Later when Ming Ming refused to have his diapers changed, the couple were at a loss of what to do. Eventually, the couple successfully completed the task when Lesley coaxed Ming Ming by singing. After the challenge, the couple looked exhausted and admitted being parents is hard. Upon hearing his daughter’s heartfelt words, Paul stopped laughing and became emotional. Paul shared his experience, “My daughter was 2 years old and my son was 7 years old. Carrying one on my back and holding the other with my hands, it was a bit tiring. At that time, my mother took them abroad while I was working in Hong Kong. Sometimes I flew at least six to seven times per year. Sometimes I asked the station’s coordinator when I don’t have to film. I was scared of having to return [to filming] after only 10 days.” The audience became emotional after hearing Paul’s personal anecdote and praised Paul for being a good father. In reality, Paul rarely shares his experience of being a single parent. After the birth of his children, Benji Chiang (姜文杰) and Lesley, Paul and his ex-wife Thelma Leung (梁盛子) divorced due to cultural and personality differences. As Thelma remarried, Paul took the responsibility of caring for his two children. Growing up, Paul’s children never forgave Thelma for leaving them. Thelma had always regretted not mending her relationship with her children. When Thelma died from brain hemorrhage in Vancouver in 2016, it was reported that Benji and Lesley did not attend her funeral nor sent flowers or cards. Lesley and Benji appear to be unable to forgive their mother for abandoning them. This article is written by Sammi for JayneStars.com. Kudos to him, but it doesn’t sound like he was able to spend that much time with his family either. If it was a single mother, she wouldn’t get so much appreciation by the media. What I appreciate about Paul is that though his mother helped look after his kids and he had to work mostly fulltime, he still took the time to build up a relationship with his kids and they both grew up to be decent people. @elizabeth That compliment should also go towards his 2nd wife who his kids consider their real mom. I’m sure if it wasn’t for the dual maternal influences in his kids’ lives (his mother & wife), it’d be difficult for him to establish and fulfill his fatherly obligations. Men get all the appreciation while women are sidelined. Tale as old as time. didn’t know that side of him. i love his acting, he’s just a great actor. i knew about how his kids tried to break into entertainment but never made it big. people said they could have fared better had they used their dad’s reputation but i respect them for trying on their own.